There is a lot of talk in feng shui about positive and negative energy, but what about energy sources? A basic rule of physics is that no one can create or destroy energy, only transform it. This basic physics rule also applies to feng shui energy. 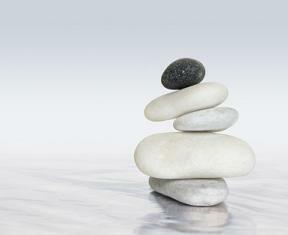 The goal in feng shui is to create a harmonious, positive environment by manipulating the environments existing energy. Whether this manipulation is done by arranging objects a certain way, changing the colors in the room, or adding/taking away items that represent one of the five elements in feng shui, the energy isn't created, only transformed. So, when thinking about feng shui energy sources, keep in mind that you are not creating new energy, but transforming existing energy. Light is often referred to as the number one energy source in feng shui. The amount and type of light in your environment affects the overall chi of that environment. Here is a breakdown of positive and negative light energy sources. There is no doubt that a sunny, well-lit room is more inviting than a room that is dark and dismal. If a room in your home or office is dimly lit due to heavy curtains or draperies, simply open the curtains and let the sunlight shine in. You will immediately notice the change in the energy of the room. If the room allows for very little natural light to stream in, you can still transform the energy of the room through light, you just have to do it through artificial sources. When it comes to using artificial lighting, be aware that not all light bulbs are positive energy sources. Incandescent - There are many other ways to light your environment than with incandescent bulbs. If you use this type of bulb, choose the brands that give generate light that is as close to natural sunlight as possible. There are plenty of these types of bulbs on the market. Look for labels that read "natural" or "daylight" on the boxes. Fluorescent - Over the years, numerous studies have shown that fluorescent lights are detrimental to your health and have a negative overall impact on any living or work environment. These negative effects are so well known that many schools have discontinued using fluorescent bulbs and Germany has banned their use in hospitals and heavily restricted their use elsewhere in the country. When looking at artificial light energy sources, stay away from fluorescent bulbs. Full spectrum lights - These light bulbs contain natural sunlight's full spectrum of colors. These bulbs mimic the positive effects natural sunlight has on your body. By being as close to natural light as possible, full spectrum bulbs help transform negative or stagnant chi of any room into positive energy. Color - Colors are a huge source of energy. Manipulate the energy in any space by simply changing the color scheme of the décor or by painting the walls. Air - Air is an energy source in feng shui because stagnant air is stagnant chi and dirty air is negative chi. Keep the air in your environment flowing and clean in order to reap the benefits of positive energy. This can be as simple as opening a window in the warm months and keeping your furnace filters clean in the cold months. Another thing you can do is to purchase a stand-alone air purifier to keep the air in your work or living environment clean. By doing these things, you will soon be able to feel the positive energy you've created in your work or living space.